UniClean's Technical Information pages, which are cited below, are available to assist you in the determination of your garment program needs. This information is provided for general guideline use only. For more detailed information concerning the specifications of our cleanroom products, please contact a UniClean representative. 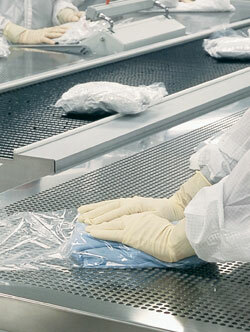 Cleanroom Fabrics - Information on the fabrics available for cleanroom applications. Cleanroom Soles - Information on the soles available for cleanroom applications. Clothing Standards - Recommended clothing standards listed by cleanroom class. Inventory Requirements - Example garment inventory listed by change frequency. Gowning Sequence - Recommended sequence for donning cleanroom garments.